We serve only the finest wines (Did you bring any?) - Personalized with your last name! What a way to welcome your guests! 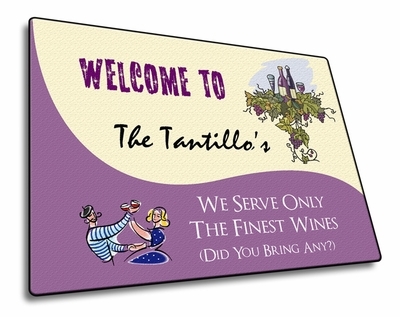 These customized welcome mats will be show the world your Love of wine in a classy, elegant way. Customizable with your name and favorite year! Remember� you found the Wine Welcome Mat at TShirtHub.com, where high quality came at a low price.